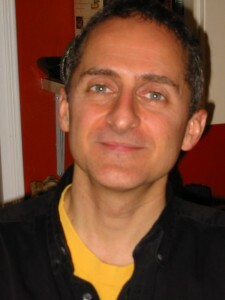 David Brunetti is a teacher, musician, and writer in New York City. He teaches ongoing classes in bringing acting technique to songs in New York, and gives annual Master Classes in many locations, including Florida State University, Denmark, Sweden, London, and Brazil. He is the author of a book called Acting Songs, which is used as a textbook in many training programs in the U.S. and internationally. David has played keyboards and musical directed on and off-Broadway, and played piano on national television as the on-set pianist for the Vicky Lawrence talk show on FOX network. He has served as vocal coach and accompanist for Art Garfunkel, Judy Collins, Michael Feinstein, Jennifer Holliday, Eartha Kitt, Leslie Uggams, Charlotte D’Amboise, Tony Award winners Donna Murphy and Faith Prince, film director Rob Marshall, film actor Paul Giamatti, and Academy Award winner Geena Davis.